Brilliant amber color. Attractive, complex aromas and flavors of cocoa-dusted nuts and woods, spicy marmalade on toast, acacia honeyed tea, and hint of white glue and suede with a supple, vibrant, dry-yet-fruity medium-to-full body and a warming, interesting, very long finish imparting notes of toffee, molasses cookie, sweet and peppery spices, and lit tobacco and leather finish. A robust and refined bourbon with a firm structure and nice range of wood and earth flavors. 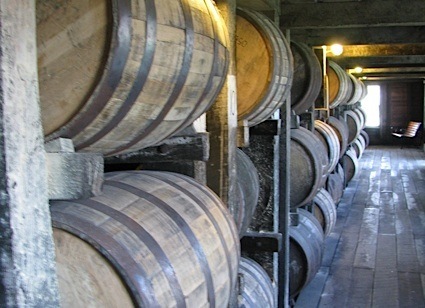 Bottom Line: A robust and refined bourbon with a firm structure and nice range of wood and earth flavors. 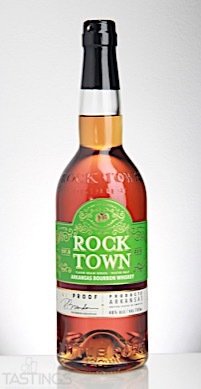 Rock Town Arkansas Bourbon Whiskey Peated Malt rating was calculated by tastings.com to be 92 points out of 100 on 8/31/2017. Please note that MSRP may have changed since the date of our review.